March Mesh Madness has begun, and the event is currently in full swing on FATEisland. 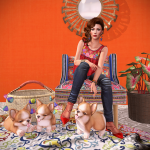 A number of talented mesh creators have some amazing items to display, and hopefully I will be able to get a few more posts about it published before it ends. I am in awe of many of the creations showcased at MMM. First of all, as someone who is struggling to learn the 3D modeling program Blender, I appreciate the agony many of these artists must have gone through learning their respective design programs of choice. To be able to create a realistic looking dress out of a cube or two is mind blowing. One dress I particularly loved for its clean design, popping color, and somewhat bohemian feel, is this Emily Dress by Jane. The top portion is loose and free, and the skirt has just enough flare at the bottom. The jewelry set and hair are also mesh and can be found at MMM as well. The jewelry pieces, by Maxi Gossamer of MG, are fantastic quality and design, as well as very affordable. You can buy one color of the Giselle Opal Set, or purchase all the colors in the fatpack. I loved this new long hairstyle by Magika, and it comes with a convenient color change HUD and a mirrored version of the style. 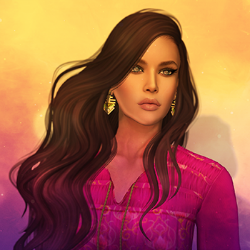 For some of the items featured in this post, and many other fashionable mesh finds, visit the MMM event! March Mesh Madness is on its way! I am bursting at the seams to share with you what I have been wanting to write in this post! First of all, this isn’t going to be just about March Mesh Madness, but it is what I am highlighting here right off the bat. 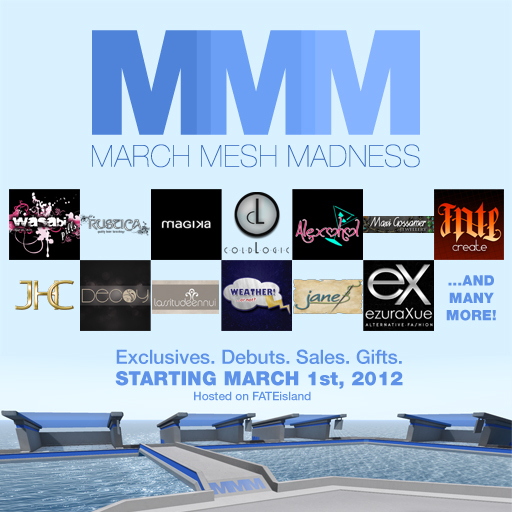 Beginning March 1st, 2012 one of the most anticipated events for mesh lovers will kick off at FATEisland. Mesh creators will be coming together in one place to showcase their designs in a grand event. This will be a hot sim to be at opening day! The more I wear mesh, the more I like it. I am definitely saving my lindens for MMM 2012! Now, to showcase another design from the mesh brand coldLogic (yea, yea, my third coldLogic post in a row…but when you are inspired by something you just need to run with it)! When I saw this dress initially, I knew I wanted to do a sort of a retro or vintage look. When I was browsing the fashion feeds recently, I caught the new fringed oxfords by Annex which had a color that matched the buttery yellow dress to perfection! I also wanted to feature this pose I am using by Essential Soul that can be found at the Proposers Expo. An amount of the proceeds from the expo will be given to ASA also known as the Autism Society of America. The event ends February 25th, so check it out if you have not yet been there! Zaap just so happened to sneak up behind me while I was experimenting for the first time with the Exodus Viewer on some country back road. He coincidentally was wearing a yellow shirt. I’m not sure he knows I am posting this picture…but oh well. I liked it! I really think the image quality of Exodus is exceptional. The clarity and crispness is amazing. I still get some lines on my images, however, at least I now know an effective way to deal with them.